Russia's hybrid military forces attacked Ukrainian troops in Donbas, eastern Ukraine, 22 times on Sunday, September 24, as a result of which two Ukrainian soldiers were wounded in action (WIA) on that day, according to the press center of the Ukrainian Anti-Terrorist Operation (ATO) Headquarters. "In the evening and at night, the situation in the ATO zone was tense again. The Russian occupation forces did not stop shelling out positions in all directions, however, no mortars and other types of heavy weapons were used by the enemy in the past day. Militants were most active in the Mariupol sector. Occupiers opened fire on Ukrainian troops near the villages of Vodiane and Hnutove twice, using grenade launchers and large-caliber machine guns," the ATO HQ said on Facebook on Monday morning. The same types of weapons were used by the enemy near the town of Svitlodarsk in the Donetsk sector. Adversaries opened fire from large-caliber machine guns near the town of Avdiyivka and Butivka coalmine. Read alsoOSINT experts identify soldiers of Russia’s Northern Fleet fighting in Donbas in 2014According to the ATO HQ, the enemy mounted an attack on ATO forces near the village of Novozvanivka in the Luhansk sector at about 17:00 local time on September 24. They used grenade launchers and small arms. "Our forces' response was tough. But unfortunately, one Ukrainian defender was wounded in this fighting. He was rushed to hospital. His condition is satisfactory now. What is more, militants used grenade launchers near the villages of Krymske, Donets and Valuyske in the same sector," the ATO HQ said. 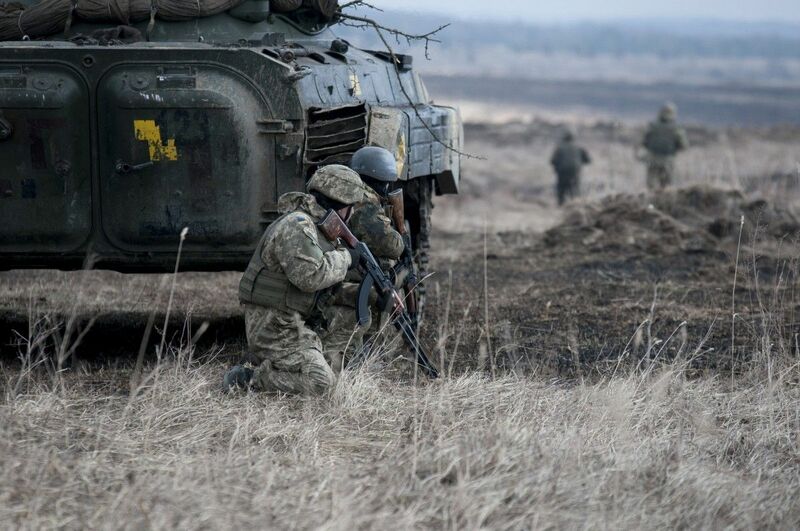 In total, the ATO troops fired back 18 times when there was a threat to their life.